Few would argue that this northeast route is anything other than the most spectacular drive into Yellowstone National Park. Beartooth Highway is one of America's great routes, following long winding climbs up to high passes offering staggering views over snow capped mountains. The second stage makes its way through beautiful Lamar Valley towards Yellowstone's Great Loop. Its height – 11,708 ft – is impressive enough but it’s its perfect triangular ‘mountain’ shape that makes Pilot Peak so distinctive (and photogenic). Look out for it to your left as you approach Cooke City. This is one of the most amazing car trips routes in the west. Remarkable drop-offs on both sides of the road. It's one of those "must-drive-in-the-USA" routes! After reading this, we are definitely incorporating this route into our 10-day road trip. Thank you. If you have any other suggestions for a 10-day trip beginning somewhere in MT and making our way into Wyoming - I'd greatly appreciate the input. Our trip begins July 8. thx! We are traveling from Denver to Bozeman, to visit family. Then plan to travel around MT and through the park. It sounds like this is thr route to take into the park. Any other stops that you know we should incorporate? And, the best places to see in the park? Of course, Old Faithful and hot springs??? Thank you! Don't underestimate the time this route takes. It is among the most magnificent I have driven, but don't rush it. 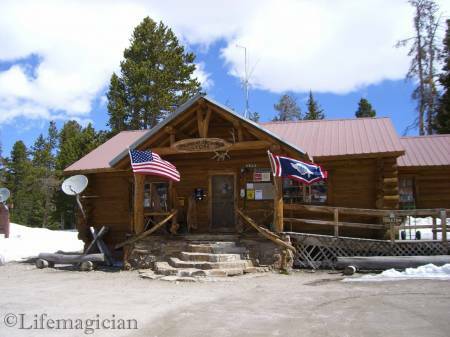 It is only about 120 miles from Red Lodge to Mammoth, but make sure you allow a good half day (if not more) to it. A stop at 'The Top of the World Store' is definitely worth it, even if only for their 'make it yourself' cup of coffee/chocolate/tea. In September I will have 2 days to go from Many Glacier Hotel in GNP to Canyon Lodge in YNP. I am thinking about using the Beartooth Highway. My thought is to go to Livingtson MT the first day and then on to Red Lodge and the Beartooth to Canyon Lodge. I've looked it over on maps but having never been in the area want some feedback on whether it is realistic. Any thoughts on that route or other experiences in the area would be most welcomed. Thanks. That is easily done in two days, with ample time to enjoy the beauty along the way. I would highly recommend that you consider taking US-89 from Glacier to Livingston. It is a scenic road the whole way, with fairly high speed limits. You'll enjoy the drive. The next day you will easily get to your lodge before dinner, even if you stop along the way at all of the magnificent sights. Only a few days ago I came across the book on the Beartooth, which I bought in the Top of the World store. It brought back so many memories.